Balanze Signature Massage is a wellness treatment created from blood type theory which focuses on the different limitation in digestive system and different personalities of each blood types that tend to have some specific health risks. This concept combines an innovative approach to boost your immune system, to release stress, to pamper your body and mind together with nourishing your skin. A combination of several massage techniques (Swedish, Lymphatic, Deep tissue, Reflexology and Aromatherapy) designed by our specialist who specialize in massage therapy for over 15 years with the unique scent and specific ingredient in the oil will certainly provide an obvious impressive result from the first session. – Combine techniques from several popular types of massage to approach the most effective result in harmonizing body and mind for each blood types. – Specific scent of each blood type oils can stimulate the brain’s limbic system to balance the mood of each traits. – Proper and correct ingredients in the oil will strengthen and soften the skin. – Enhance skin to absorb more nutrients with the energizing crystal ‘Tourmaline’ the additional ingredient in the oil. – Enhance skin to absorb more nutrients with the energizing crystal ‘Tourmaline’ which is the additional ingredient in the oil. – Other diseases & serious conditions, need to consult a doctor before administering massage. Blood type A is most likely to have low stomach acid. The digestion of protein from animals, meat and fat is not working well. This type may tend to have stomach gas and accumulation of toxin in colon. Group A should eat a vegetarian diet and should be treated with the correct nutrients, especially soy protein. Massage will focus on stomach & colon. Main ingredient of the oil are soya seed extract and ginseng root extract etc..
Conservative, sensitive, patient, and a perfectionist. Type A’s underlying stresses and tensions. Improve the mood of this type by a group of refreshing scent of ‘citrus, peppermint, eucalyptus.’ etc. Blood Type B can digest both vegetable and protein from animals (except chicken). This type is more likely to have problem with viruses infected, a weak immune system and blood clotting. 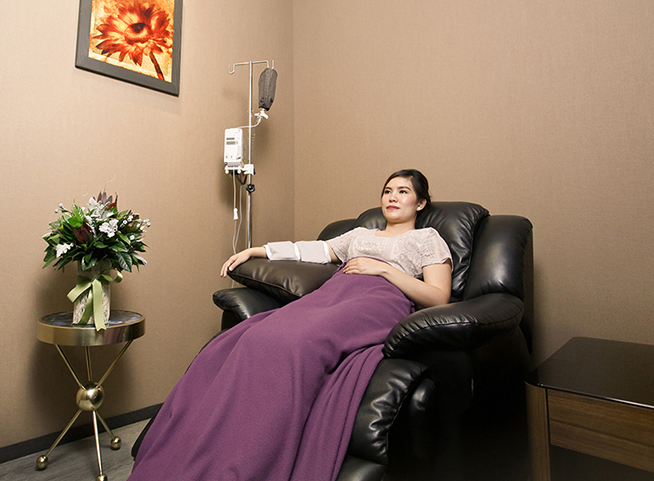 The treatment will focus on lymphatic drainage massage. Main ingredient in the oil are green tea leaf extract (anti infection), ginseng root extract (increase blood circulation), grape seed oil extract (anti oxidant) etc. Creative, flexible, individualistic, and passionate. To improve mood of this type we use a mix formula of relaxing scent ‘lavender, ylang ylang ,neroli.’ etc. Blood type O’s stomach is very acidic , so this type can digest meat better than the others. The metabolic system is low and can get fat easily. As the accumulation of toxin in the body this type prone to asthma, allergy, arthritis and hay fever therefore this massage will focus on reflexology to stimulate and balance the overall body function. Main ingredient in the oil are tea tree leaf extract, evening primrose oil, ginseng root extract, grape seed oil extract etc. Personality traits affected by the genetic mutation of combining blood types A and B, they are stronger and more active than type A’s, but need to pay attention to their stress levels.